Looks more like something Tony Little would wear. 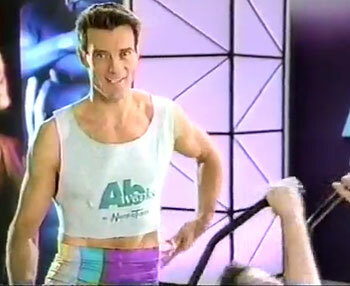 Tony Horton is still awesome! Obviously he’s been working in the industry along time, and at that time both men and women wore that style. Go Tony!